1. 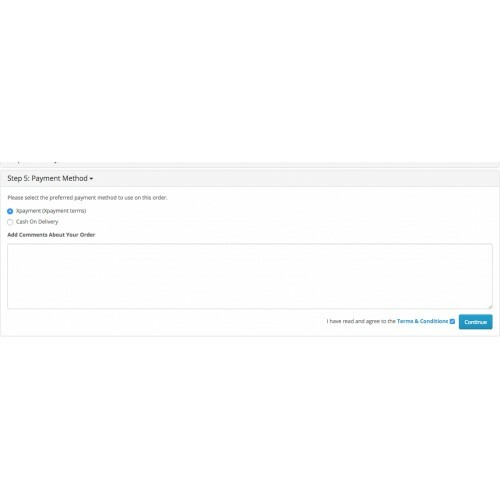 Category based Payment method. 21. 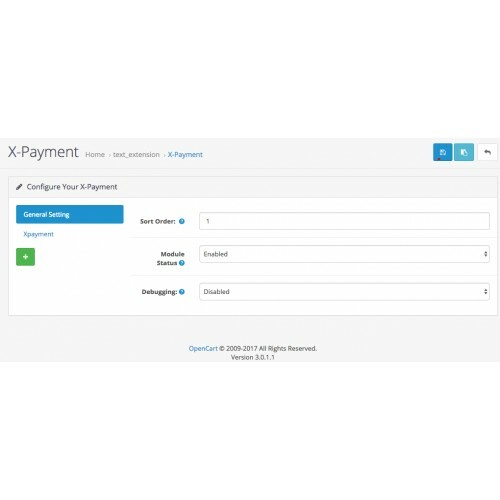 Possible to integrate most of the third party payment gateway using xpayment addon. If you need addon, Please contact for quote. Important: For OC 1.5.x VQMOD is mandatory to work. For OC 2.x it uses OCmod. 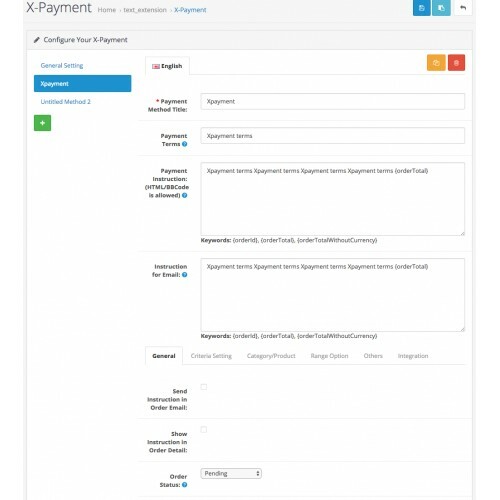 Both OCmod and vqmod has been tested with opencart default checkout and popular checkout modules like journal checkout, ajax quick checkout etcajax quick checkout etc. 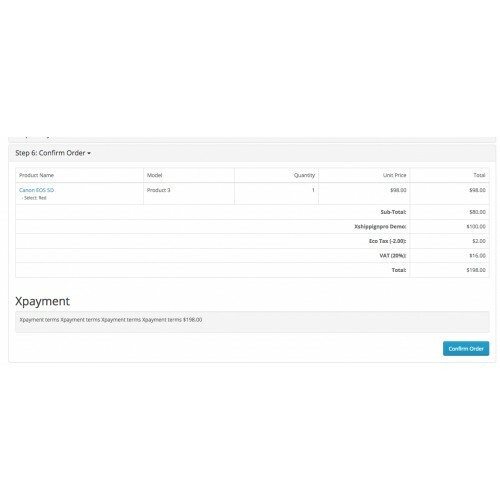 It may not work if you use any third party checkout module. 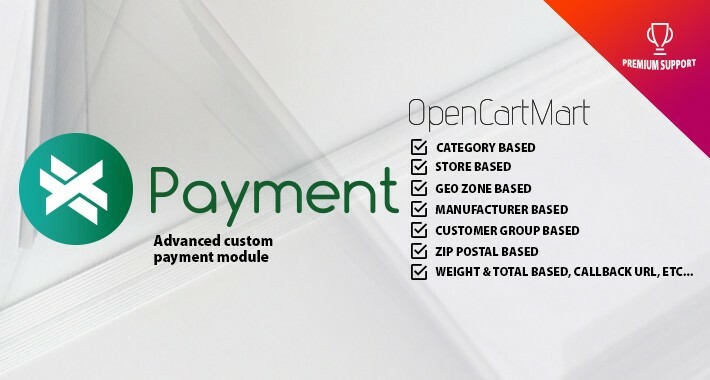 If there any issue related with vqmod, for getting quick support, Please send your ftp and admin login at opencartmart@gmail.com . Without ftp, it may take time to pin point the issue. We can guarantee that your credential will remain secure from our end. Superb product and amazing support!!! !